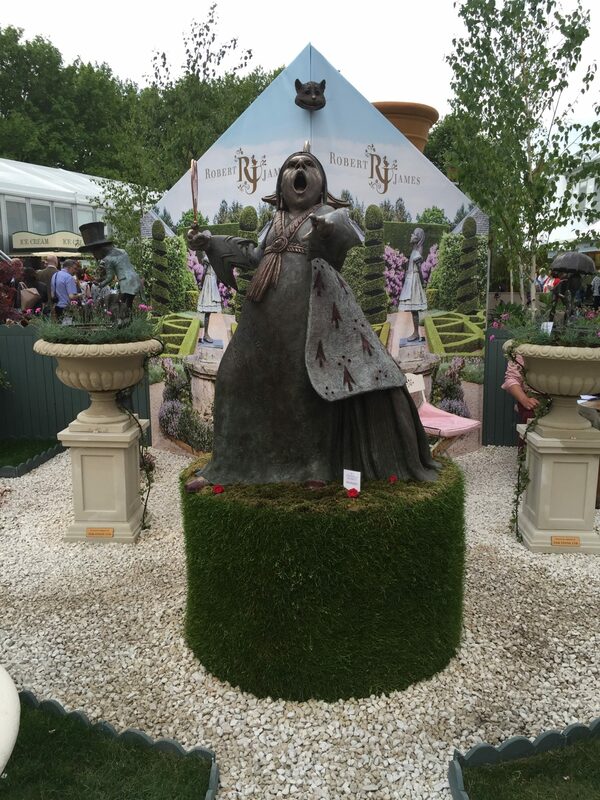 Everybody talks about the plants and gardens at the Chelsea Flower Show, and rightly so, the displays are magnificent. 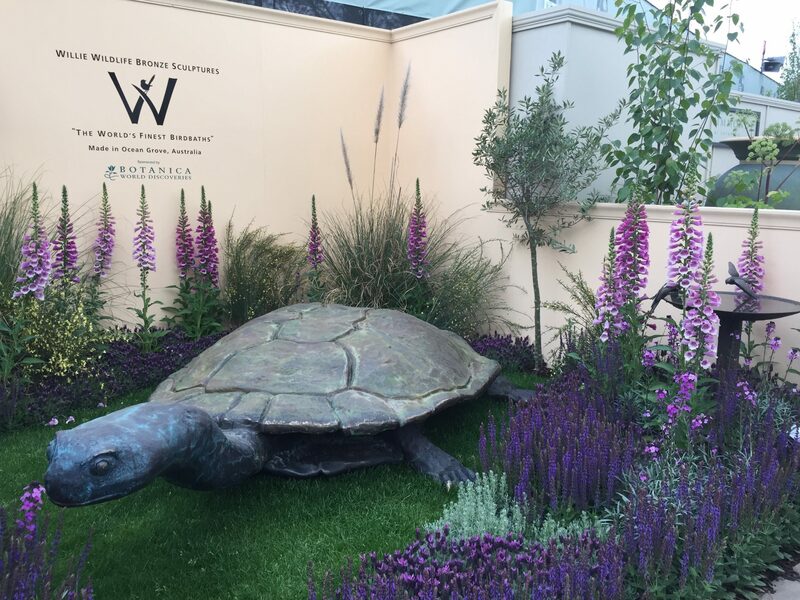 As a regular visitor to the annual Chelsea Flower Show, I enjoy seeing how the designers constantly push themselves to create even better gardens than the previous year. 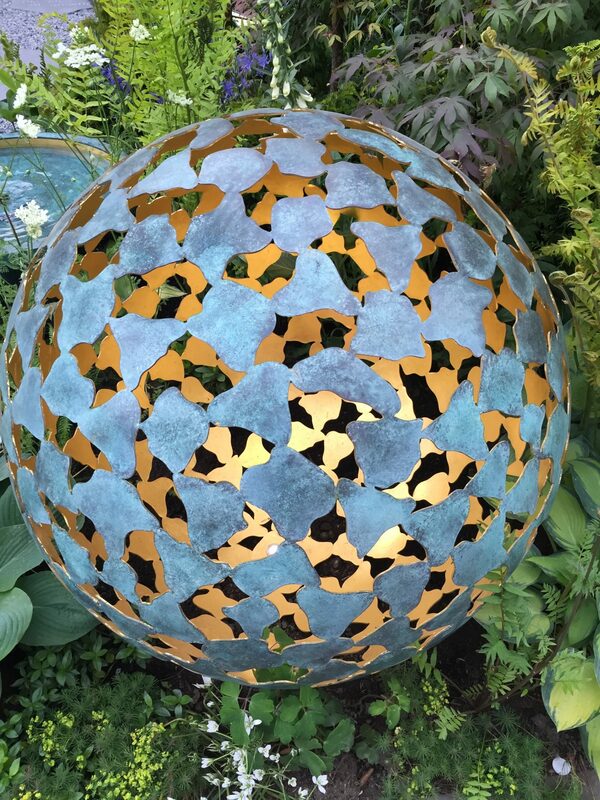 More importantly, I’m always taking notes and photographing the colour combinations that are often so bold in gardens, hard to translate into interiors because of the vibrancy of the colour of the flowers, but always does help spark ideas. 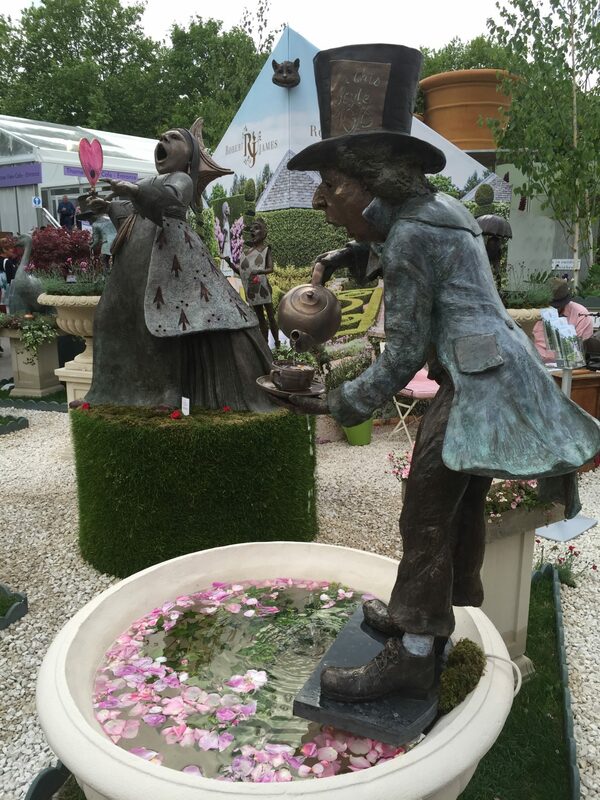 This year though, I was very impressed by the quality and sheer number of sculpture at the Chelsea Flower show. 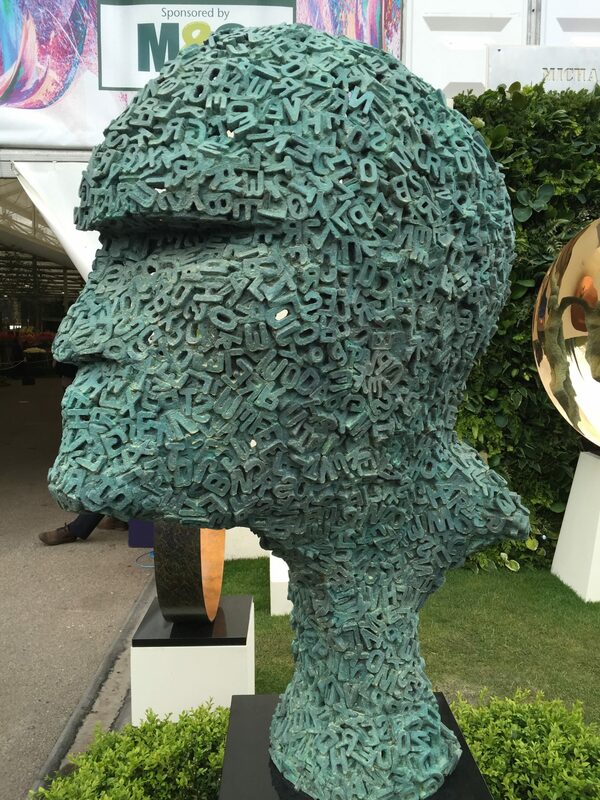 This post is filled with pictures of sculptures that I saw yesterday. 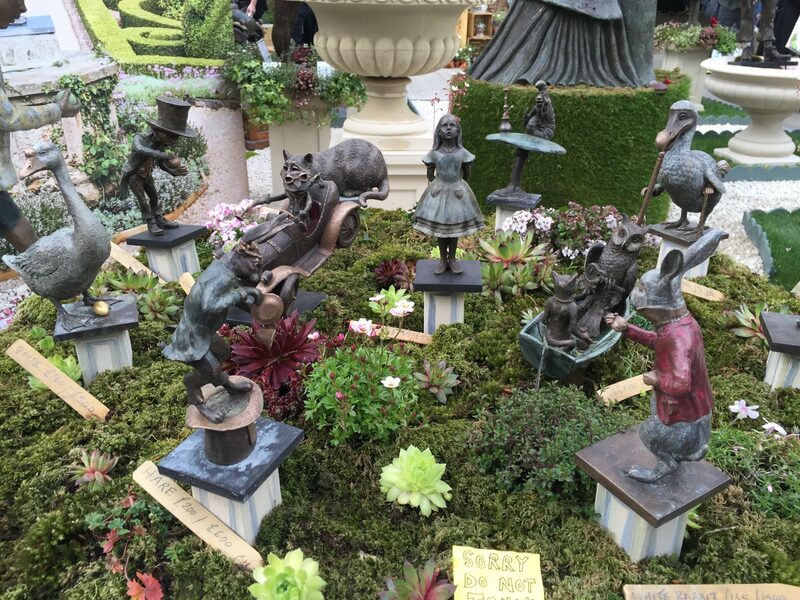 I was particularly taken by the Alice in Wonderland pieces by Robert James. Robert is working on some miniature versions (pics below) at the moment, which would look great both indoors and outdoors. I’m planning on buying some to put into my indoor pot plants. 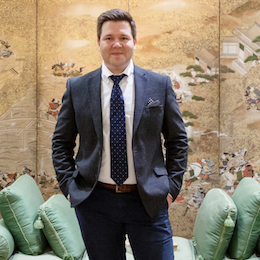 As you scroll down through this photo blog post, do keep your eye out for the March Hare, White Rabbit, Queen of Hearts, and of course Alice herself. I mentioned above that Robert James produces miniatures, here’s a selection of them. 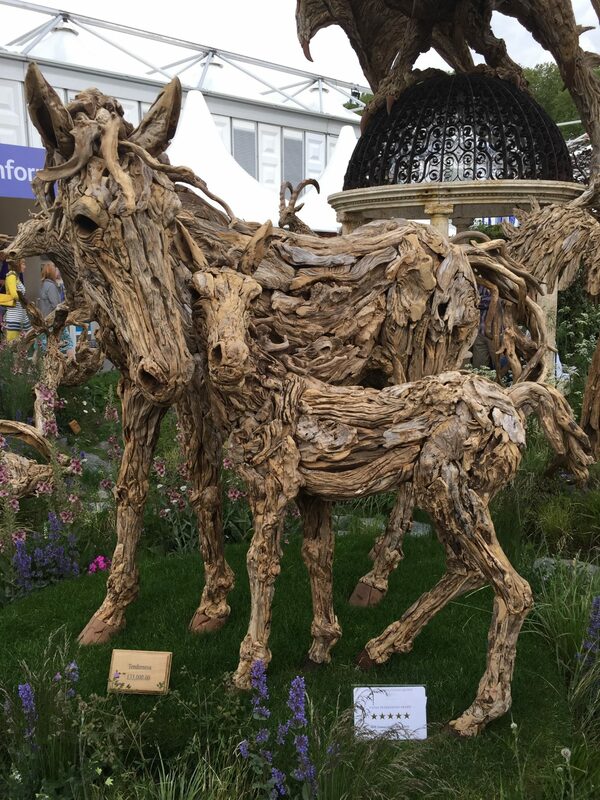 The driftwood sculptures are always very popular. Probably because it is all life size, so very impressive indeed. 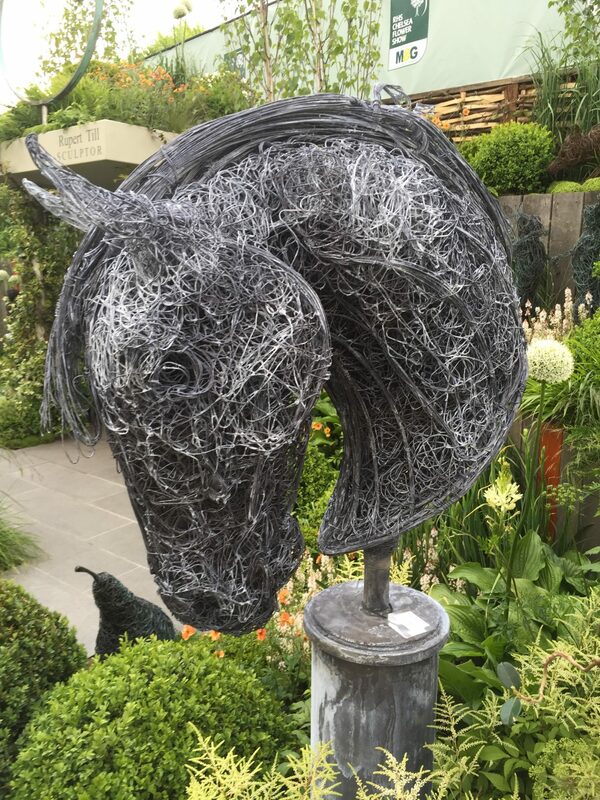 The use of wire in sculptures is nothing new, but the quality of the work this year was so high. 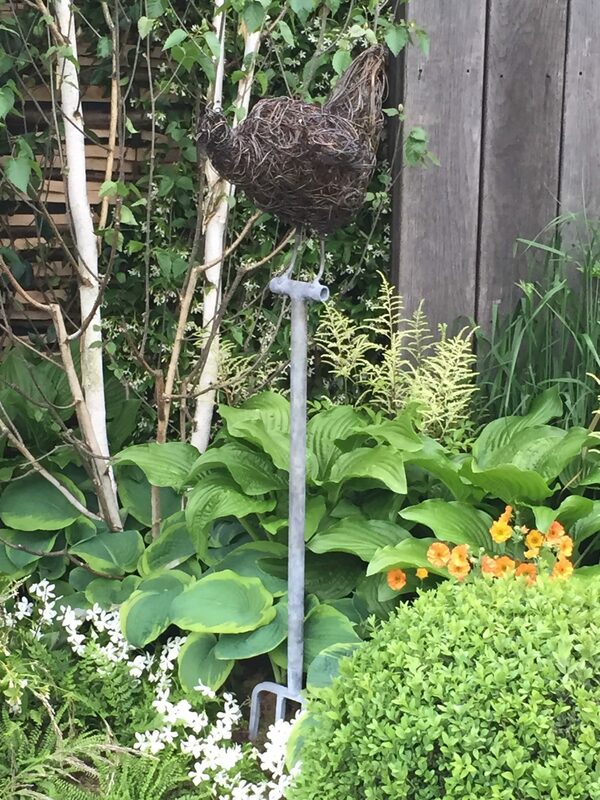 The beauty of using wire sculpture in the garden is that as it ages and rusts, the sculpture comes to life. Changing year on year, developing it’s own patina due to the weather conditions. 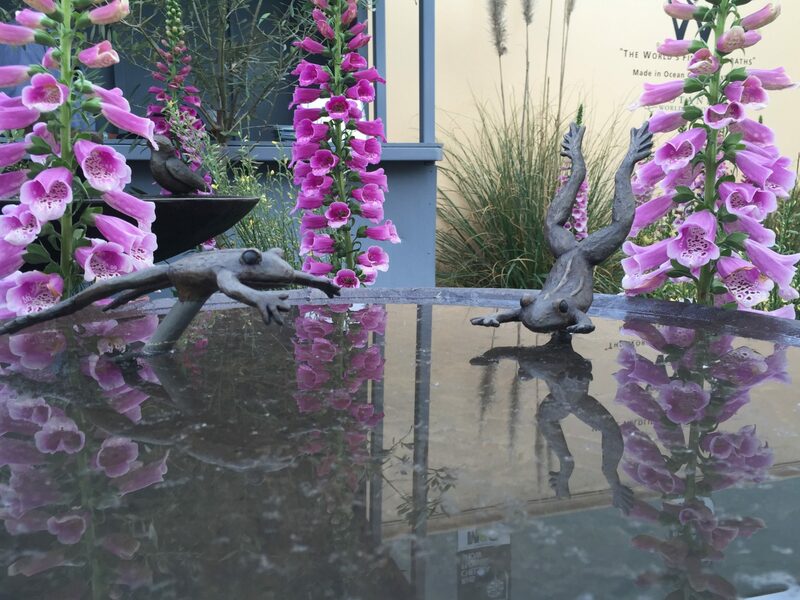 These frogs leaping into a birdbath are so wonderful. 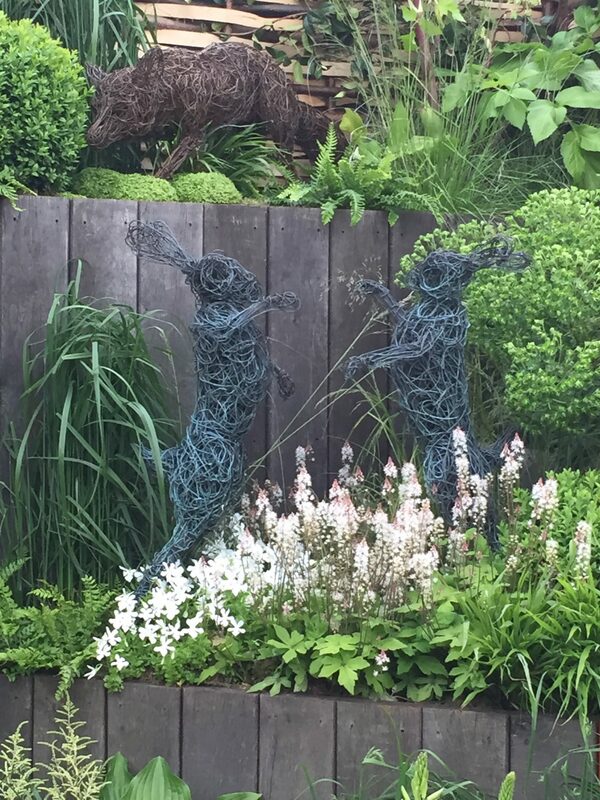 I love the playfulness of this, and would be a great delight for anyone spotting this in their garden. Functional sculpture in the form of a light. I think this is a clever use of sculpture in a small space, you are getting both function and form. Useful art as I like to think of it. 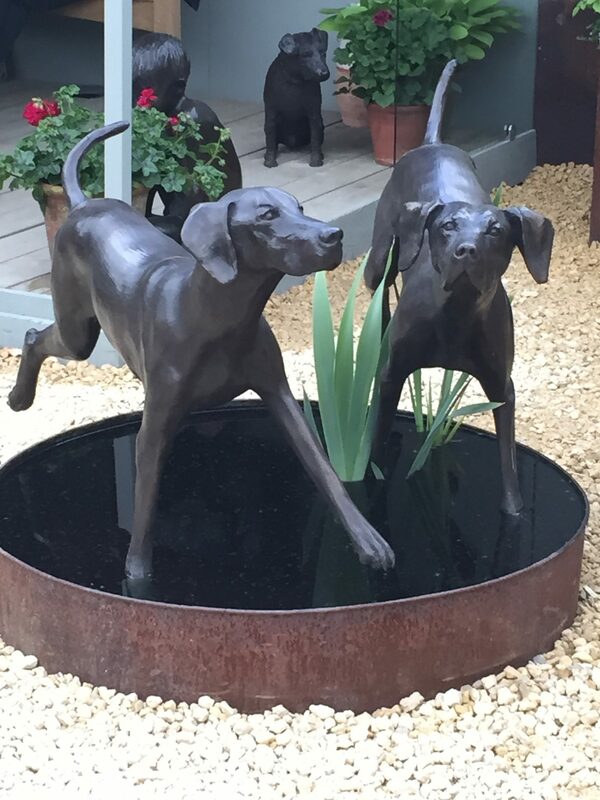 Sculpture has played a large part of our gardens for centuries. 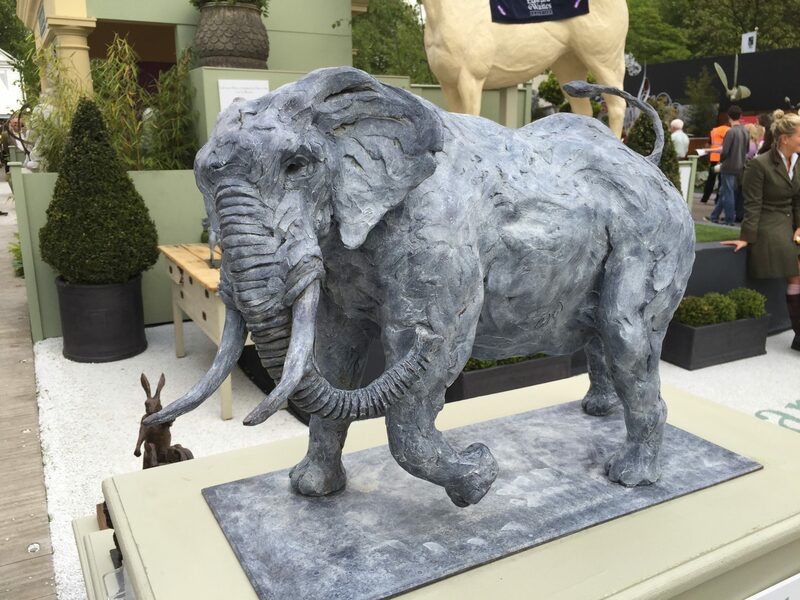 There is such a massive range of sculpture available today too. 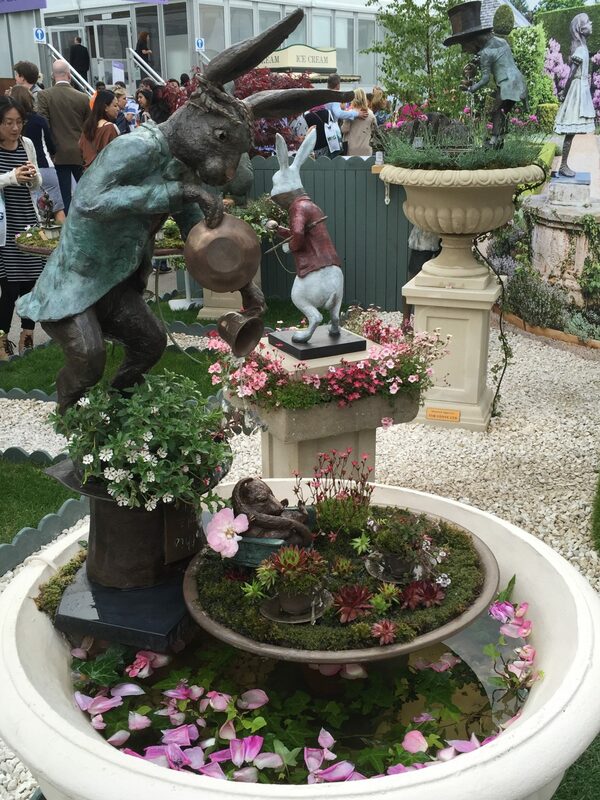 I really like the idea of using miniature sculptures to adorn garden pots, both indoors and outdoors. 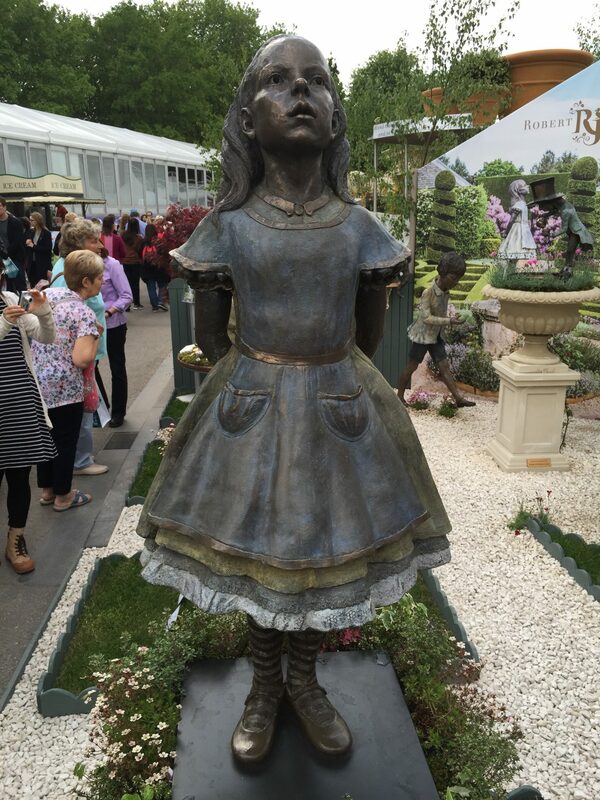 As I said above, I think that the quality of the sculpture at the Chelsea Flower Show this year was really outstanding. 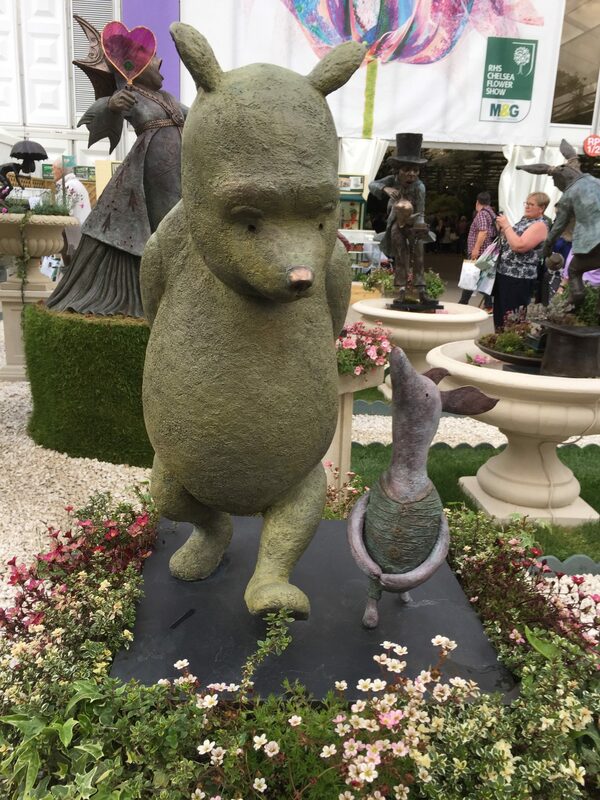 I do hope that if you didn’t make it to Chelsea this year, then my post would at least show you a different side to the Chelsea Flower Show.